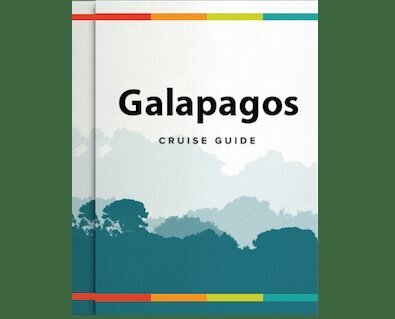 Cruise leisurely on the Galaxy’s 8 day cruise of the Galapagos archipelago. The yacht’s top guides take you to swim, hike, snorkel, and kayak every day, all amid some of the most incredible volcanic landscapes on earth. Visit the Isabela Island Breeding Center to see several species of tortoises, Espinoza Point and its large marine iguana colonies, and the picturesque Espumilla Beach, among many other visitors sites not to be missed. Please note there is another 8-Day cruise possible that combines the 4-Day and 5-Day cruise in that order. Please also note that the itinerary below is dependent on the Galapagos National Park regulations, weather and sea conditions, wildlife behavior, and accessibility to locations, so may vary. All times indicated are approximate, and are also subject to change. Daphne Mayor is a volcanic tuff cone formed by successive explosions produced by the mixture of lava and water. Galaxy will navigate around the Island. Meanwhile, Dragon Hill is located in the northwestern of Santa Cruz Island and consists of a trail that runs through 3 different environments at just 1,600 meters long. It gets its name because in 1975, was one of the only places in the Santa Cruz Island where there were land iguanas in healthy state. That same year, the Galapagos National Park and the Charles Darwin Foundation initiated a program to conserve land iguanas. In the lagoons at this site, there is shrimp, the same as is the food of flamingos; at certain times of year they are more abundant and therefore the population of these birds is larger.